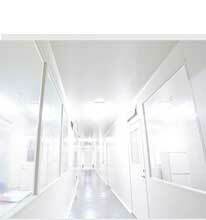 The best solution for Operating Rooms and clean rooms. 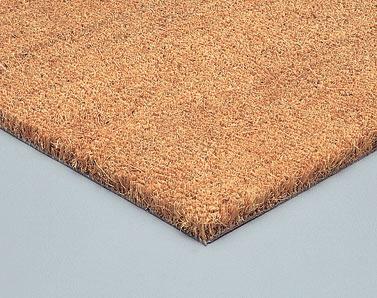 Hygienic, durable, antimicrobial. Our products fit every need. 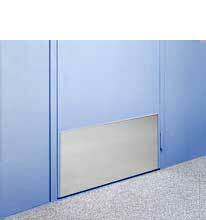 Stainless steel crash rails are the perfect solutions to protect your hallways and heavy traffic areas. We are proud of our custom work projects. Let us design and setup your custom wall protection solutions. Corrosion resistance, high and low temperature resistance, strength, aesthetic appeal, hygienic properties, and life-span are some of the many benefits that make stainless steel wall coverings ideal for hospitals, kitchens, food processing, and pharmaceutical facilities. Protek manufactures stainless steel wall coverings with a clean design that maximizes all the advantages that stainless steel has to offer. 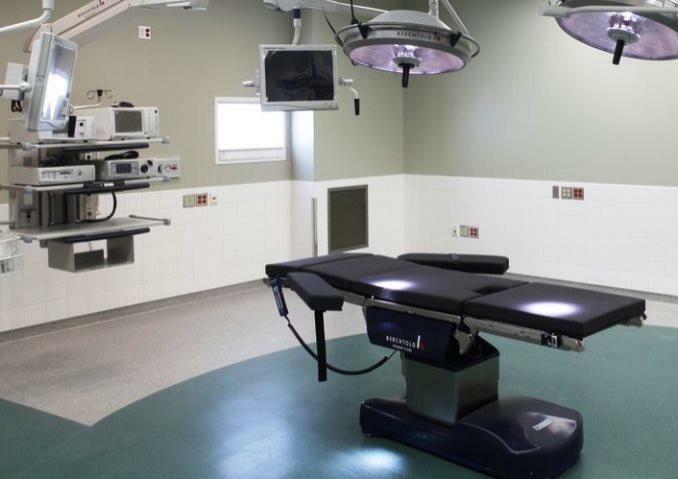 Due to the growing concern for infection control in hospitals and clinics, Protek has developed a full line of hygienic wall systems that resist the growth of germs and bacteria. 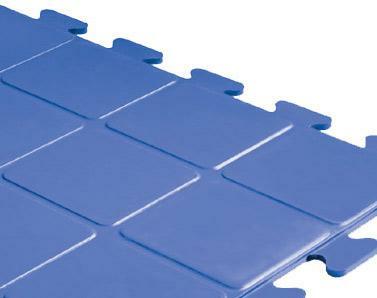 Choose from a variety of materials, colors, and installation methods. 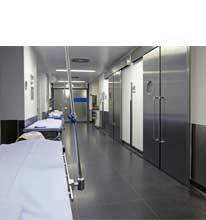 Protek hygienic wall coverings create easy-to-clean surfaces with seamless transition. Hygienic wall coverings are most commonly used in hospitals, laboratories, clinics, kitchens, bathrooms, and other areas that need to maintain a clean environment. 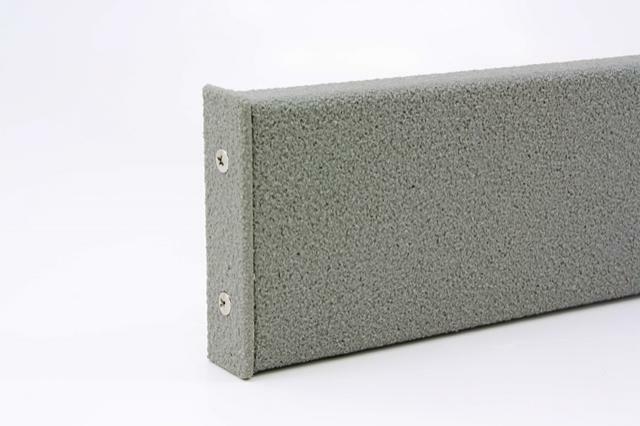 Heavy-Duty wall coverings protect from heavy impact, abrasion, and corrosion. Loading docks, freight corridors, elevator lobbies, storage rooms, warehouses, garages, and other back-of house areas will greatly benefit from the superior protection that heavy-duty wall coverings provide. 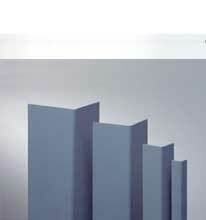 Protek offers several wall systems that differ in material, design, and color to meet any facility's needs. Decorative wall coverings are for lobbies, offices, conference rooms, show rooms, bathrooms, corridors, and other front-of house areas that customers and clients frequent. Choose from several decorative options such as patterned and colored stainless steel, wood grain, marble, granite, and brass. 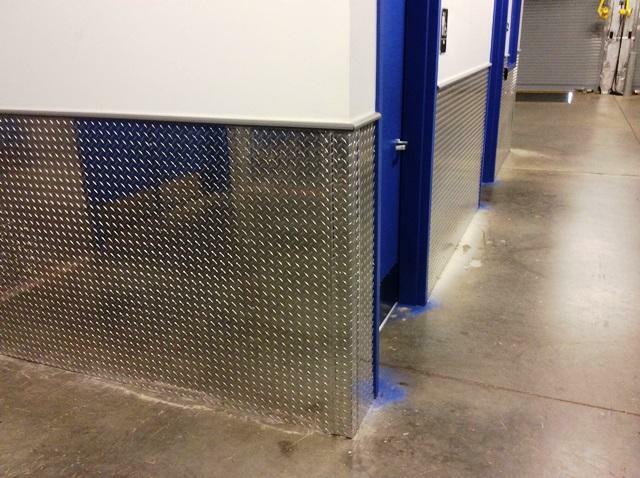 Protek rigid vinyl wall covering reduces maintenance and protects walls from moving equipment, carts, and pedestrian traffic. 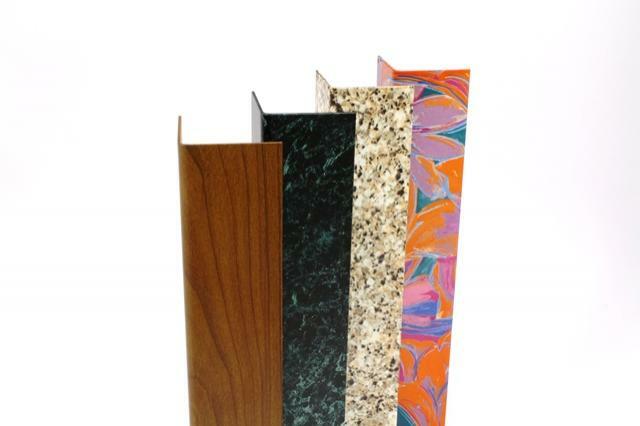 The rigid PVC wall panels are available in several thicknesses and 66 standard colors to match any interior design. 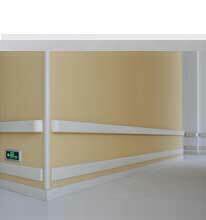 Use Protek rigid vinyl wall covering in corridors, operating rooms, class rooms, janitor closets, and other applications to save time and money on maintenance and repair. Work with our design experts to create a customized photo wall covering that displays beautiful images, color schemes, and company logos. 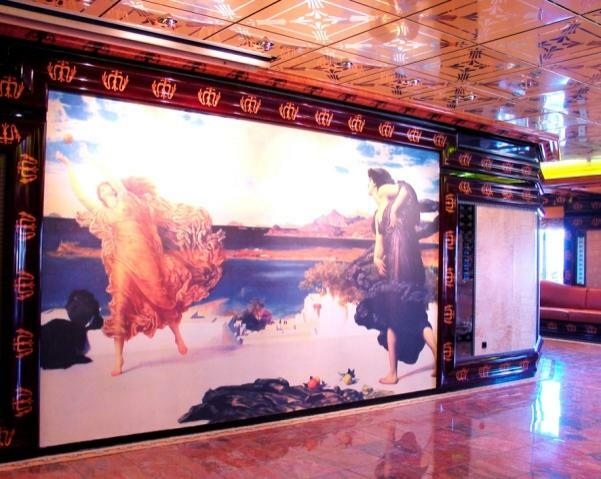 Protek has the ability to decorate an entire hallway or a small area. 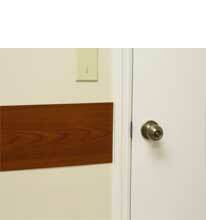 Continue a theme with corner guards, chair rails, and door protection products. 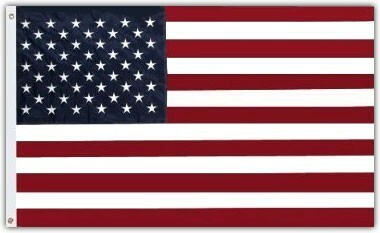 Images are printed in high resolution and protected by a durable powder coat finish. Possibilities are endless with Protek's photo wall coverings. Protek stainless steel handrails use A.D.A compliant 1 1/2" diameter tubing with matching end caps, corners, brackets, and splices. Our stainless steel hand railing systems can mount to drywall, glass, or posts, and will adapt to almost all job site conditions. 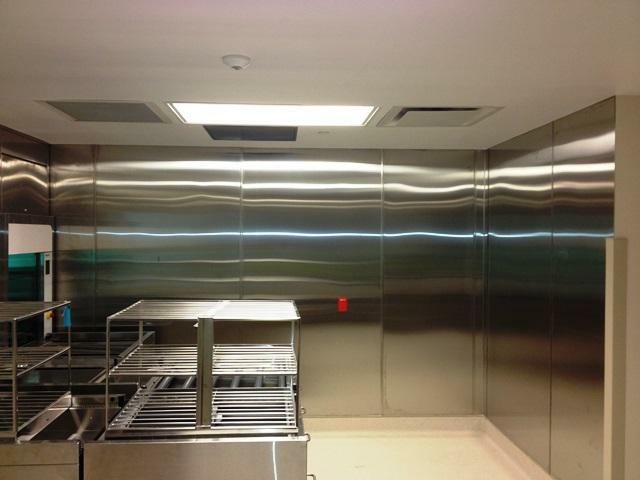 The stainless steel stands up well to impact as well as harsh cleaning agents, which allows you to maintain a hygienic environment that is protected from equipment and other moving objects. 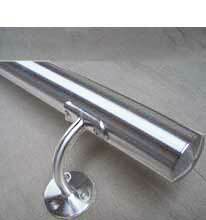 Each handrail component ships with mounting hardware, so installation is fast and simple. 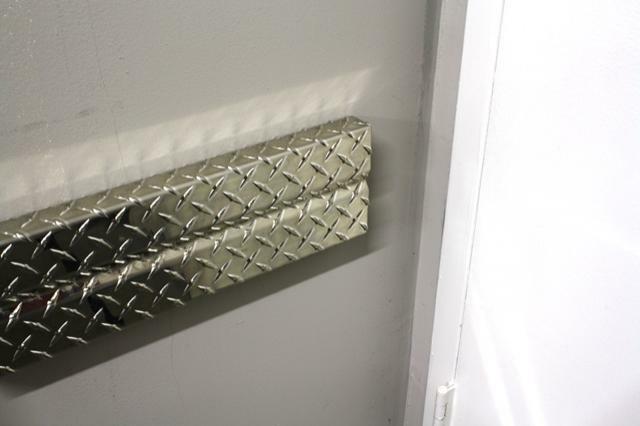 Protek Decorative handrails provide support for building occupants and can also serve as a protective bumper for walls from moving carts and equipment. 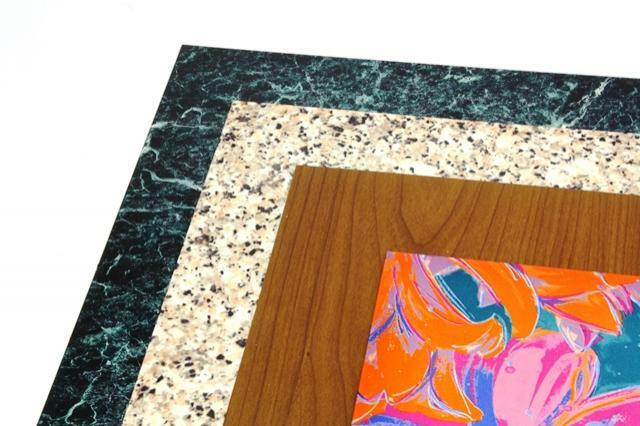 Choose from several decorative finishes to enhance the decor of your building that include wood grain, marble, granite, brass, and also patterned or colored stainless steel. Solve pedestrian safety concerns with Protek's wide variety of rigid vinyl handrails. Protek handrails are engineered to provide support for pedestrians while protecting interior walls from damage. 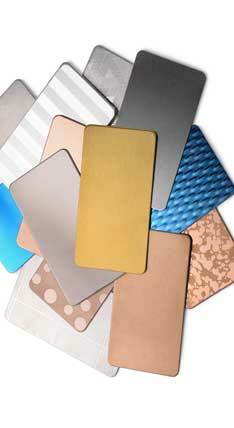 Choose from a wide variety of profiles, sizes, finishes, and colors to suit your needs. 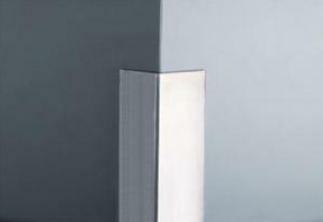 Protek stainless steel wall guards combine maximum impact protection with a clean and modern design. 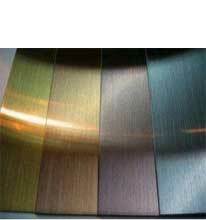 Stainless steel reduces bacterial growth and allows for the use of harsh cleaners. Protek stainless Steel crash rails are ideal for areas with heavy traffic and abuse. 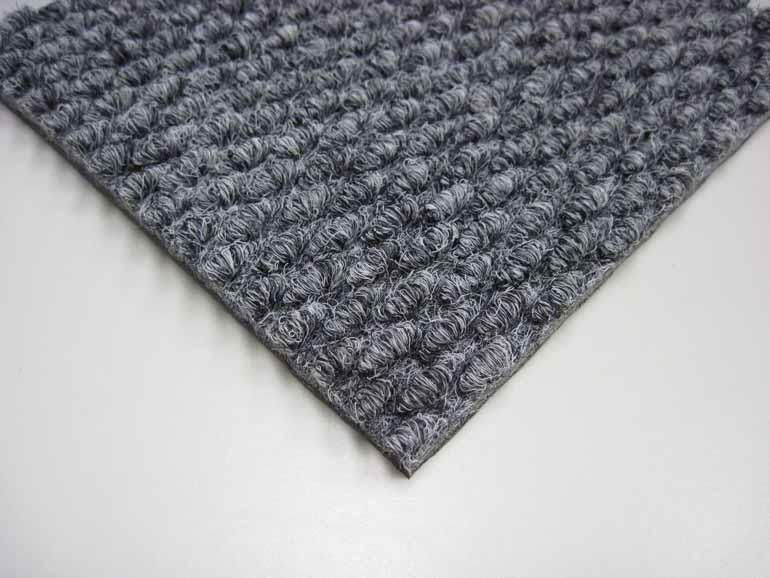 They are commonly used in hospital corridors, patient rooms, laboratories, food processing areas, kitchens and other applications that require heavy-duty protection that is easy to maintain and clean. 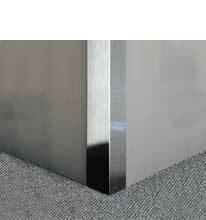 Crash rails fabricated from aluminum are cost effective and environmentally friendly. Protek aluminum crash rails may work just as well as stainless steel products in certain applications, but cost a fraction of the price. Also, over 50% of the aluminum that Protek uses to manufacture their crash rails comes from post-consumer scrap, and the aluminum in itself is 100% recyclable. 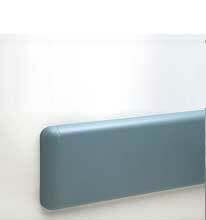 Protek antimicrobial wall guards combine impact protection with a durable antimicrobial powder coat finish. 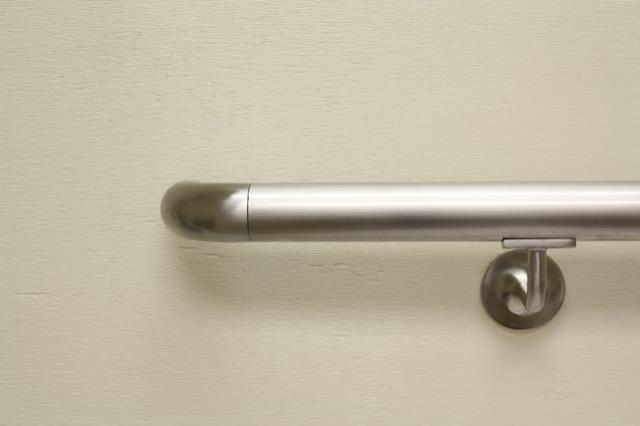 Antimicrobial crash rails significantly reduce bacterial growth and have a smooth surface that is easy to clean. These characteristics make Protek antimicrobial wall guards ideal for hygienic areas with heavy pedestrian and cart traffic. 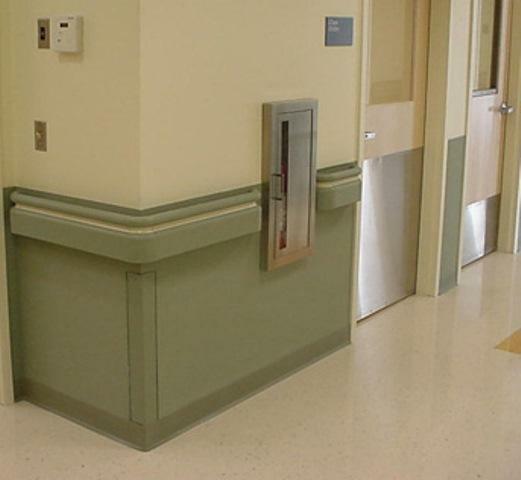 Protek antimicrobial crash rails can be used in hospital corridors, patient rooms, laboratories, food processing areas, kitchens and other applications that maintain a clean environment. 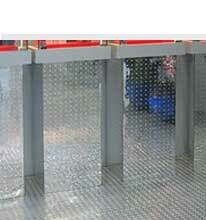 Protek heavy-duty wall guards provide maximum impact protection in parking, commercial, or industrial environments. Protek heavy-duty wall guard will maintain parking garages, storage facilities, loading docks, warehouses, or in-plant offices. Please choose from our extensive product list. For the extravagant lobbies and executive conference rooms, Protek offers decorative crash rails that protect as well as enhance refined decor. Choose from several decorative options such as patterned and colored stainless steel, wood grain, marble, granite, and brass. 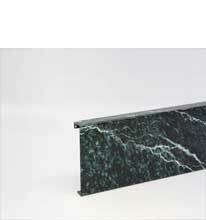 Decorative crash rails help maintain areas that leave first impressions on customers and clients. 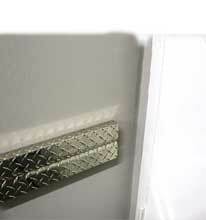 Protek rigid vinyl crash rails protect walls from all types of abuse. 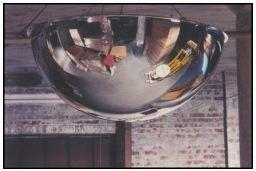 Choose a size, shape, color, or style that fits the decor of your facility. 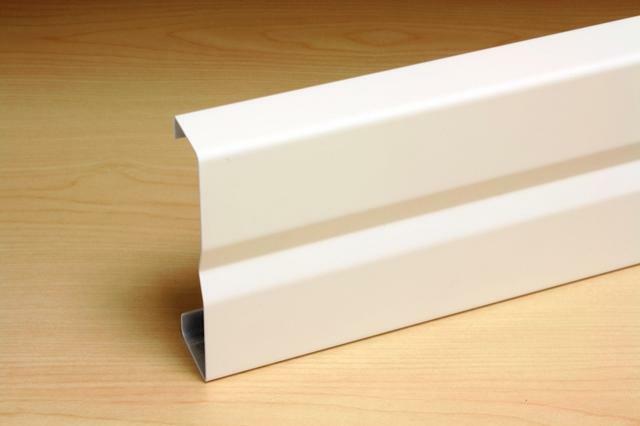 Installing Protek PVC wall guards reduces maintenance and repair expenses. 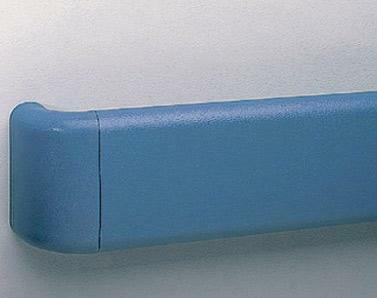 Several wall guards utilize the Red-E-Clip® retainer. The Red-E-Clip® retainer is a cost-effective alternative to continuous aluminum, which also saves time on installation. 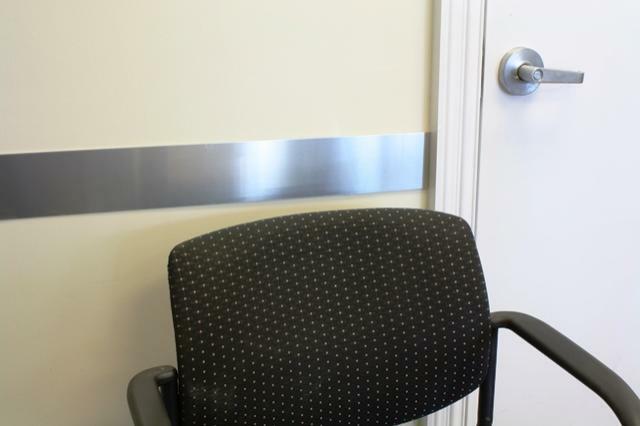 Protek aluminum rub rails and chair rails are cost-effective and environmentally friendly products that protect walls from chairs, desks, and other equipment that tends to get pushed into the wall. 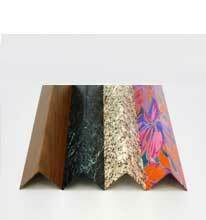 Choose from several sizes and finishes to accommodate your specific needs. Installation is fast and simple. Heavy-Duty rub rails and chair rails are available in aluminum or stainless steel diamond plate, super-duty coating, or HDPE. 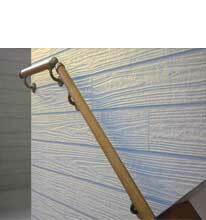 Heavy-Duty rub rails and chair rails offer strong protection from impact and abuse. 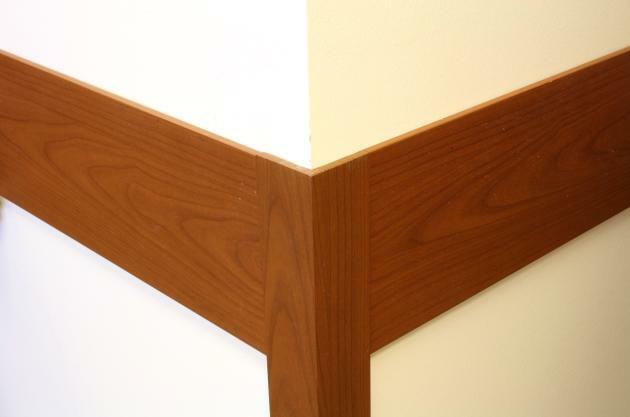 Rub strips and chair rails are best utilized when impact and scratching occurs at a specific height on the wall. Choose from a variety of sizes to accommodate any scenario. 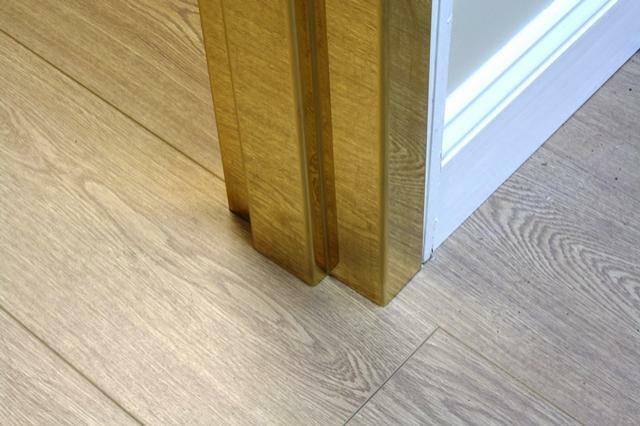 Rub rails are also available with pre-fabricated inside and outside corners for added strength. Decorative rub rails and chair rails enhance a room's interior design while serving a functional purpose. 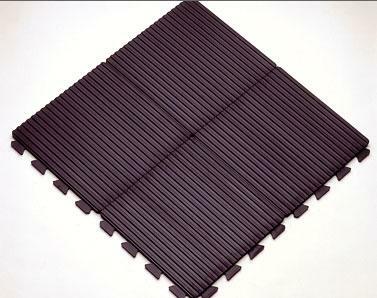 Rub rails and chair rails protect walls from chairs, desks, tables, and other items that frequently contact the wall. Choose from several decorative options such as patterned and colored stainless steel, wood grain, marble, granite, and brass. 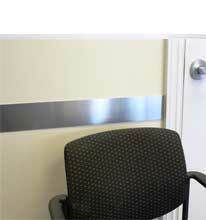 Rigid vinyl rub rails and chair rails are designed to protect walls from impact and scratching. 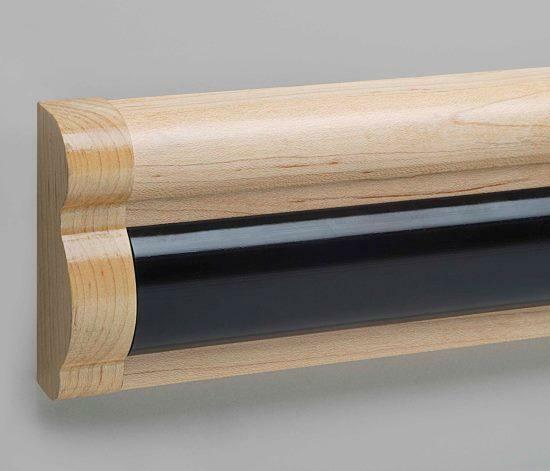 Vinyl rub rails are most commonly used behind chairs, tables, desks and other objects that commonly come in contact with the wall from people coming and going on a daily basis. 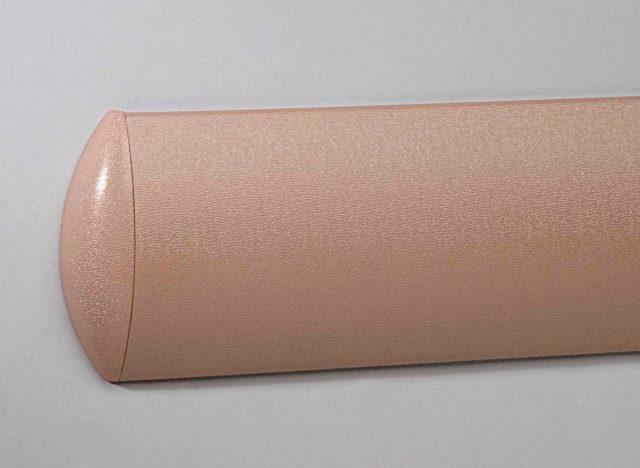 Rigid vinyl rub rails and chair rails are available in a variety of sizes, thicknesses, colors, and mounting methods making it easy to coordinate with interior designs. 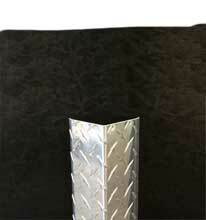 Protek stainless steel corner guards provide heavy-duty protection from cart and equipment traffic. 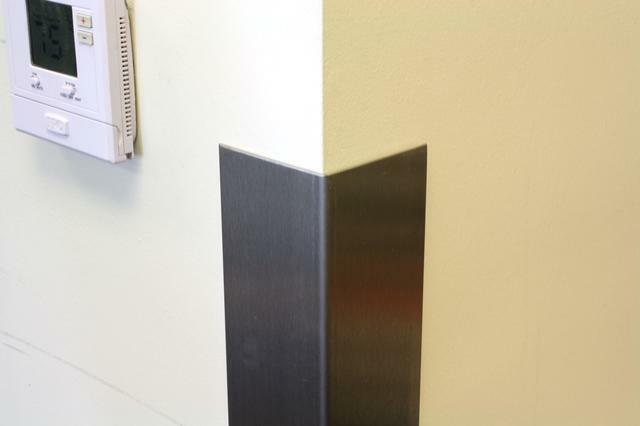 Stainless steel is an extremely durable and hygienic material, which makes stainless steel corner guards ideal for hospitals, clinics, laboratories, schools, and other facilities that require wall protection that is easy to maintain and keep clean. 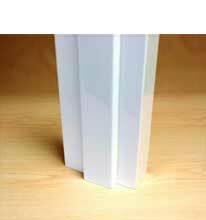 Choose from several standard sizes or design a custom profile that satisfies your project needs. 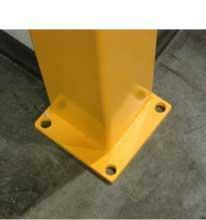 Aluminum corner guards are a cost-effective alternative to stainless steel corner guards. 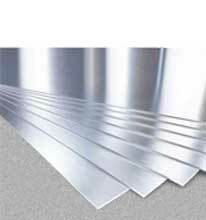 Aluminum may not be as hard a metal as stainless steel, but will still do a satisfactory job at protecting outside corners from cart and equipment traffic. 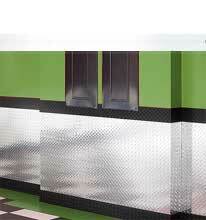 Aluminum is also a very hygienic material that can withstand cleaning from harsh chemicals. 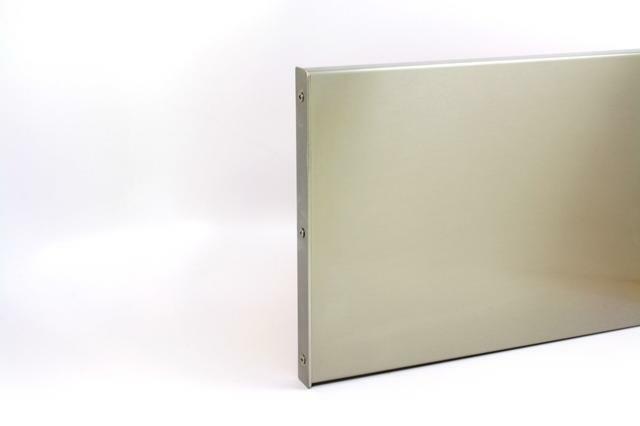 These characteristics make aluminum corner guards another ideal product for hospitals, clinics, laboratories, schools, and other facilities that require wall protection that is easy to maintain and keep clean. 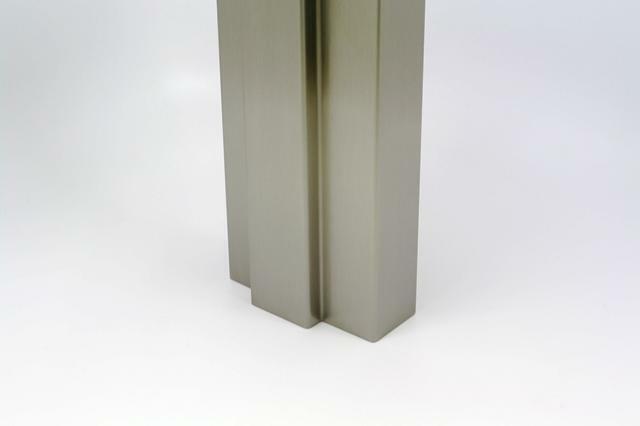 Choose from several standard sizes or design a custom profile that satisfies your project needs. 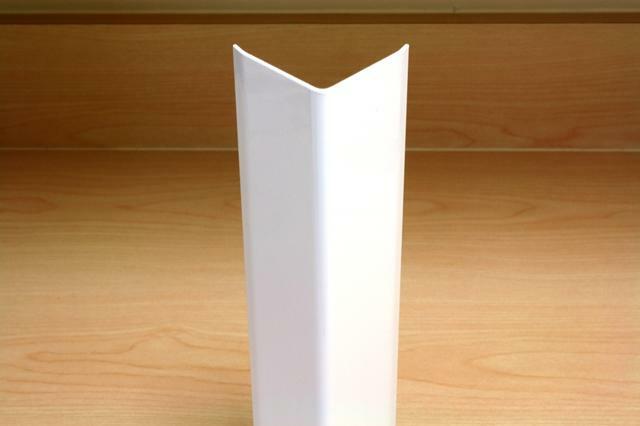 For kitchens, laboratories, food processing plants, and other facilities where sterility is a requirement, Protek offers antimicrobial corner guards. 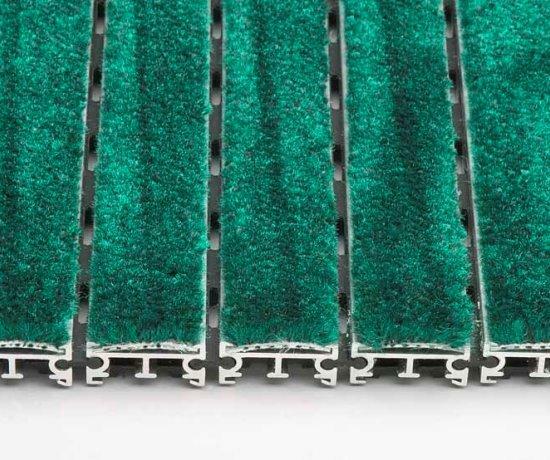 Antimicrobial corner guards are fabricated from aluminum and powder coated with an antimicrobial finish that resists the growth of germs and bacteria. Choose from a wide variety of colors that compliment any interior design. 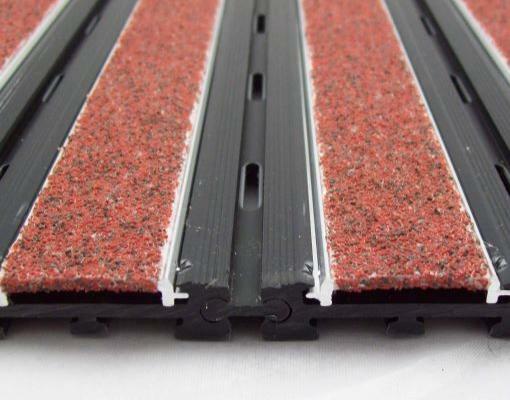 Protek has an extensive line of corner guard products that are designed to withstand impact from large equipment and carts. 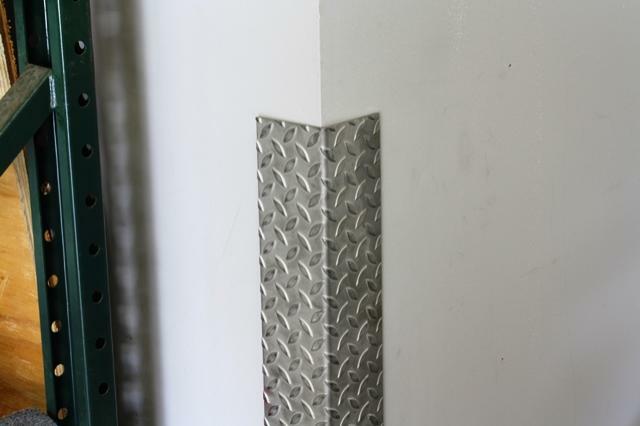 Heavy-duty corner guards are fabricated from material that maintains it's integrity after enduring heavy impact, and are most commonly used in warehouses, loading docks, storage rooms, and other back-of-house areas. 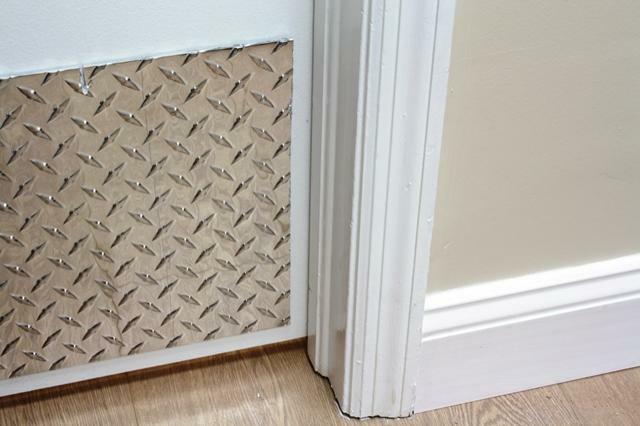 Use Protek heavy-duty corner guards to protect walls and reduce maintenance costs. 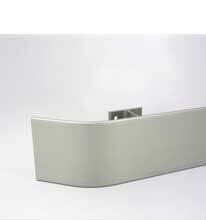 Protek decorative corner guards stray from conventional corner guards that possess an "institutional" appearance. Instead, they add charm and allure to interior designs without sacrificing functionality. 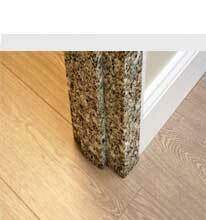 Choose from several decorative materials and finishes that compliment virtually any design scheme. 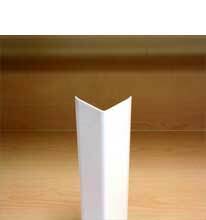 Decorative corner guards are ideal products for lobbies, conference rooms, hotel corridors, and other front-of-house areas that experience frequent cart and pedestrian traffic. 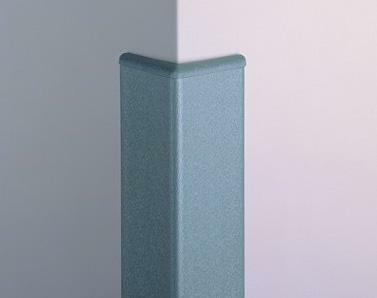 Whether for a healthcare, education, municipal or commercial buildings, Protek rigid vinyl corner guards protect your building from front to back. 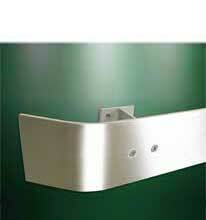 Choose from flush-mounted or surface-mounted corner guards with several styles. Most styles are available in multiple sizes, angles, and colors for perfect coordination with the rest of our impact protection product line. Protek floor-mounted corner guards are ideal products for warehouses, storage facilities, back-of-house areas, and other commercial locations that experience heavy traffic from cleaning equipment, pallet jacks, and customers. 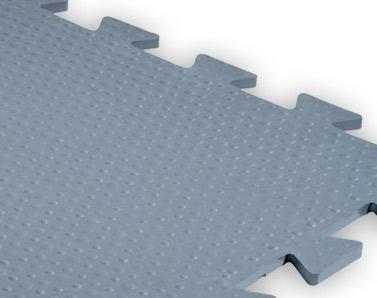 Fabricated from thick metal and fastened securely to the ground, floor-mounted corner protectors can withstand the strongest of impacts without the need for replacement. 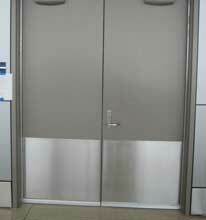 Protek stainless steel door & frame protection products shield the door's face, edges, and frames from unsightly marring and excessive wear. 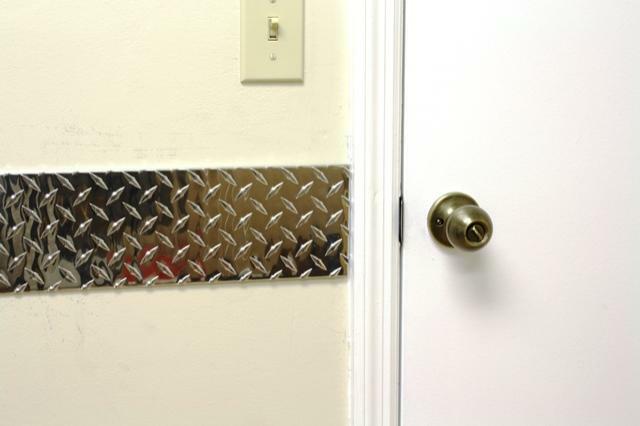 Protek door edge guards permanently shield door edges, and Protek stainless steel kick plates and push plates protect a door's most vulnerable areas from excessive wear and tear. All Protek stainless steel door & frame protection products provide heavy protection that keep doors looking newer longer. 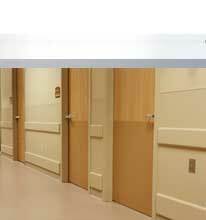 Protek antimicrobial door and frame products are ideal for hospitals, laboratories, decontamination rooms, and other facilities that keep a clean environment. Doors and entryways are continuously pushed or touched throughout the day, which makes them ideal places for germs and bacteria to collect. 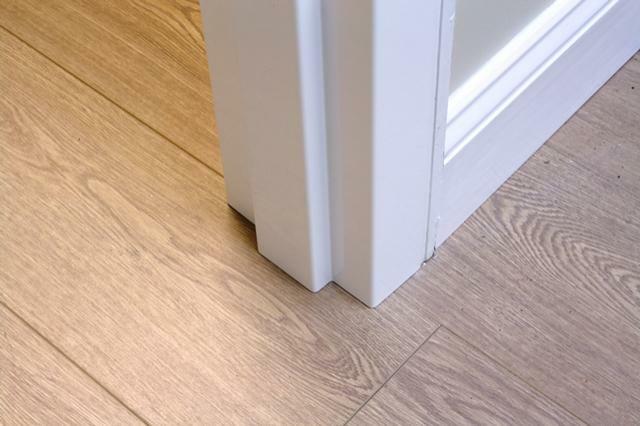 Antimicrobial door and frame products help to eliminate the growth and spread of these germs, which in return lowers the risk of ilness being passed from person to person. Some doors and entryways require extra protection because of frequent cart and equipment traffic. Protek heavy-duty door and frame products are designed to withstand heavy impact to keep doors intact and properly functioning. Choose from several heavy-duty materials and profiles, or inquire with a sales associate for a custom design that meets your specific needs. 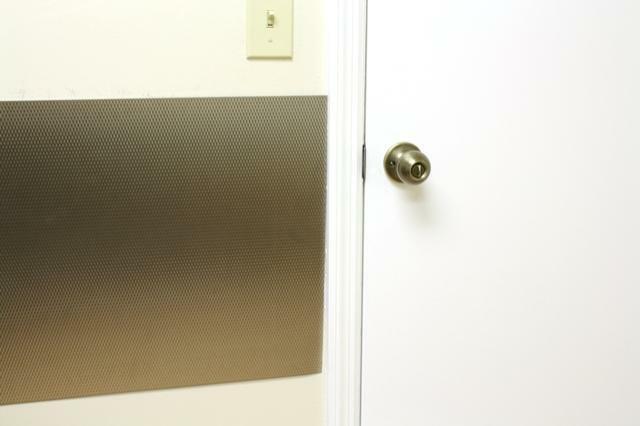 Protek decorative door and frame products include kick plates, push plates, frame covers, frame guards, and door knob protectors. 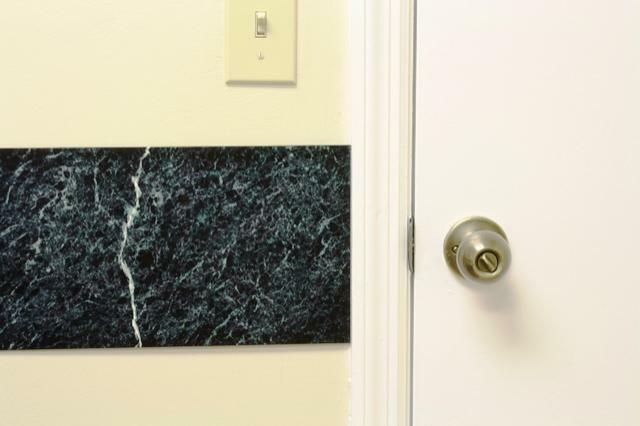 Choose from a variety of decorative materials to compliment your upscale decor which include wood grain, marble, granite, brass, and decorative stainless steels. Protek Decorative products are durable to withstand everyday abuse but also attractive to compliment front-of-house design schemes. 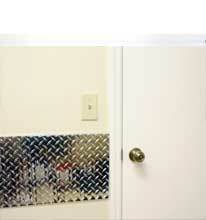 Protek rigid vinyl door and frame products protect doors and frames from impact and unsightly marring. Choose from a full product line that offers solutions for door and frames. 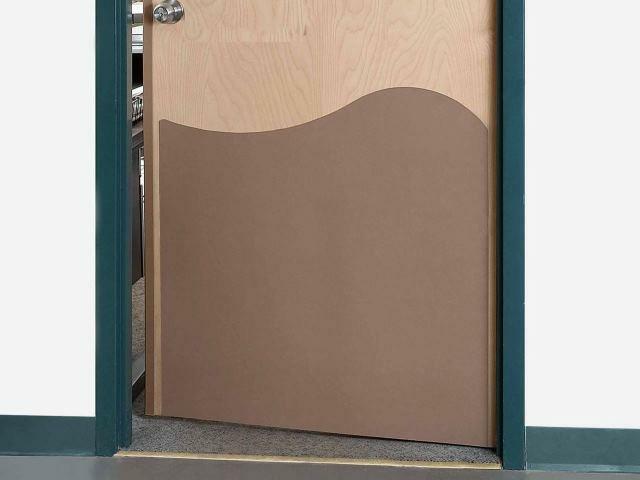 All rigid vinyl door and frame products are available in 60 standard colors to compliment any color scheme. 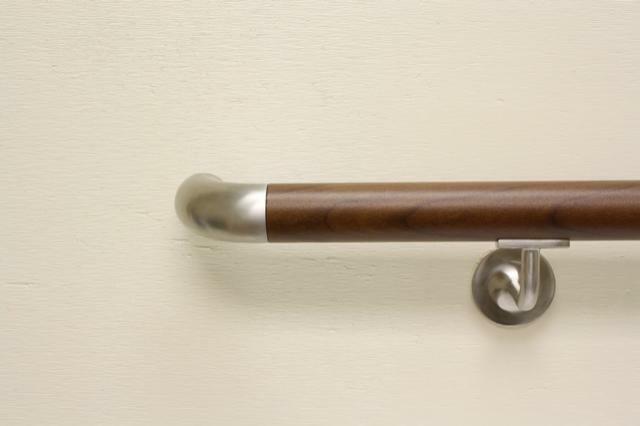 Protek Systems offers wood handrails and wall guards in a variety of beautiful stains. With a large number of profiles to choose from, Protek's line of real wood wall protection adds protection as well as beauty to high-traffic areas. 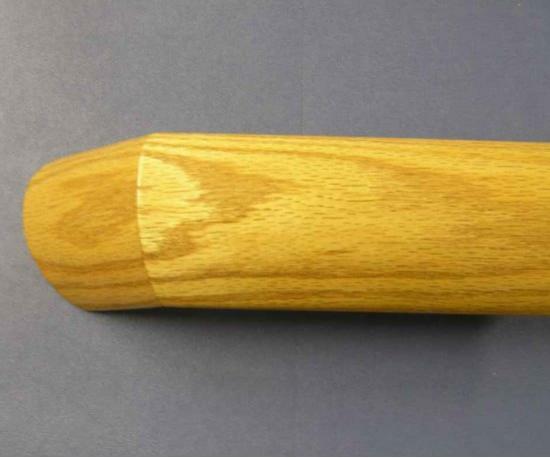 Some profiles can also be manufactured from sustainable wood, please contact the factory for more information. 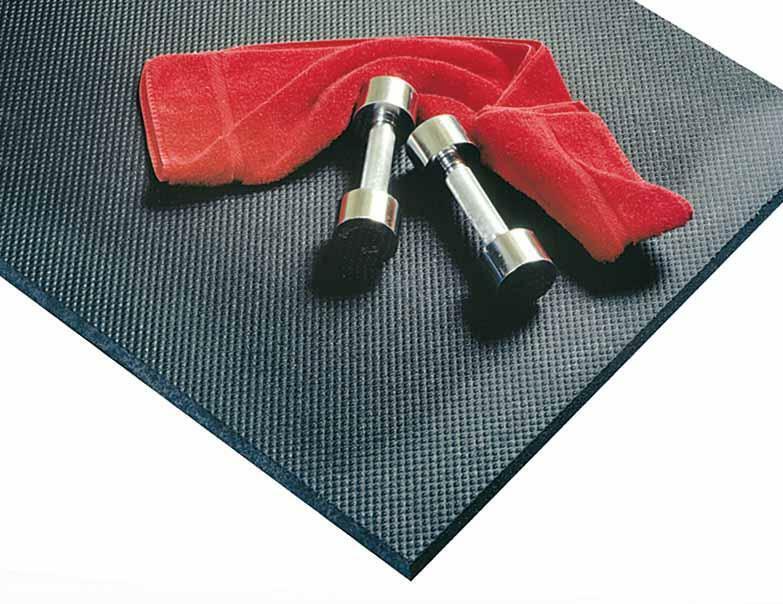 Protek Heavy-Duty Rubber Entrance Mats feature deep groove corrugations to trap dirt and debris before it enters the building. 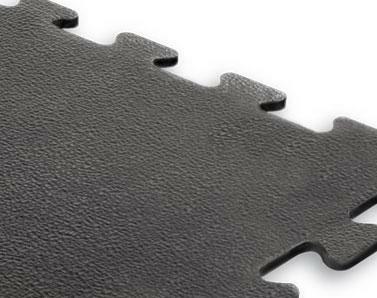 Protek Heavy-Duty Rubber Entrance Mats are available in the hi-rib "wiper blade" or dura-tile finish. The most out of two worlds. 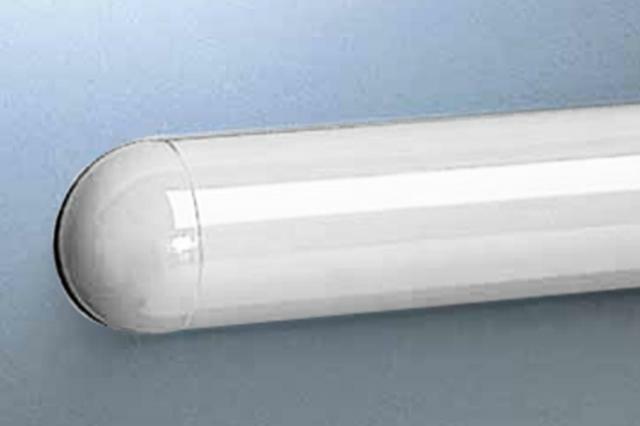 While maintaining elegance and unbeatable designs, you can have a clean and antimicrobial solution. Custom work is one of our strengths, we can manufacture all kinds of crash rail, rub rail, hand rail or wall protection to fit your needs.